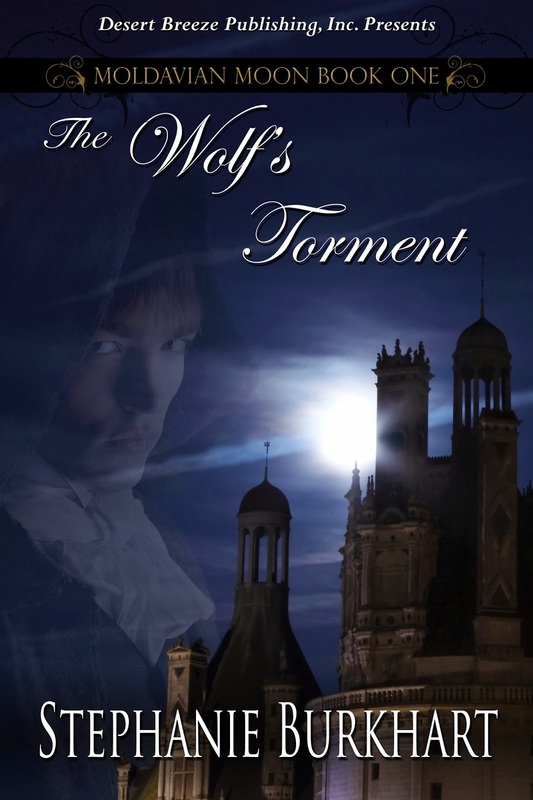 Congratulations to Mary P., winner of the prize for commenting and to Queentutt's World of Escapism, the host winner. 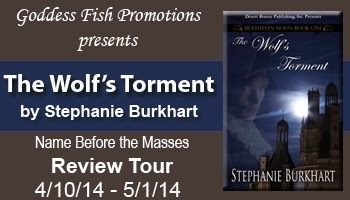 Goddess Fish Promotions is organizing a Virtual Name Before the Masses REVIEW ONLY Tour for The Wolf's Torment by Stephanie Burkhart, a 202 page Historical Supernatural Fiction with Romantic Elements available now from Desert Breeze Publishing. The tour will run every Thursday for 4 weeks starting on April 10, 2014, and the book is available in PDF format. Stephanie will be awarding a $25.00 Amazon Gift Certificate to a randomly drawn commenter during the tour, and a $15.00 Amazon gift certificate to a randomly drawn host. I can do a review and a promo if you have any other open dates that need to be filled.